Barcelona is one of the most popular destinations in Europe with millions of tourists visiting annually. This city is vibrant with famous sights, beaches, bars, clubs and more. Find inspiration and ideas for the best things to do if you would like to travel, go backpacking or take a gap year in Barcelona. One World 365 features lots of amazing experiences, gap year trips, adventure tours, backpacker deals and cheap travel packages to Barcelona. You will get to explore destinations and enjoy the best time of your life. 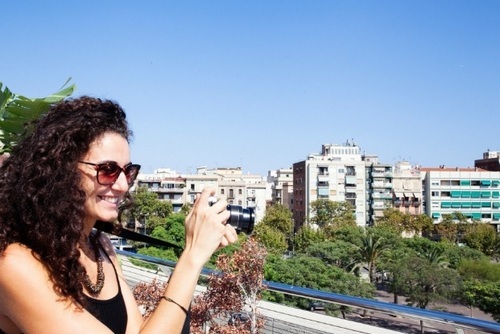 You can also view our guide which includes sightseeing tours, activities and travel tips for cheap and free places to visit, where to stay and how you can save money and visit Barcelona on a budget. People come from all over the world to see this cosmopolitan city. 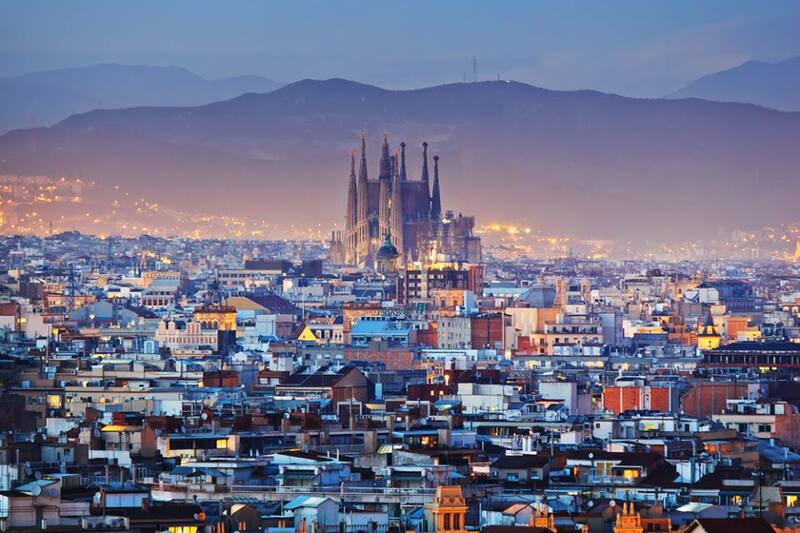 There is something here for everyone, people flock to this city for a number of reasons, the stunning La Sagrada Familia, the gothic styled cathedral, all the beach activities such as paddle-boarding, and the Gaudi designed buildings, this makes Barcelona a city not to be missed. On our directory you can find the best day tours, sightseeing activities, excursions & things to do in Barcelona. 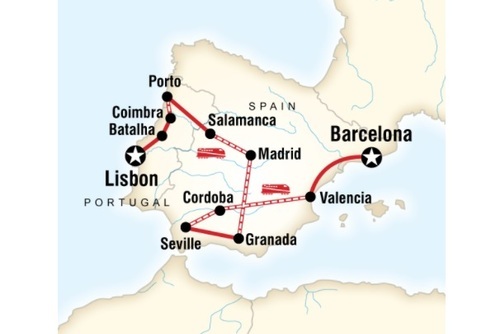 You can also search tours which either depart from, visit or finish in Barcelona. By booking a tour of Barcelona in advance you can save yourself time, hassle and money meaning you will get to spend time enjoying more of this amazing city. Exploring Barcelona on an organised tours makes the whole experience easier and takes away a lot of the common hassles like where to go, what to do, where to eat - especially if you are on limited time. A lot of tours are run by local guides which can take you to the very best places, hidden gems and also go off the beaten tourist track. There are so many tours and sightseeing activities available all year round, some last a few hours, 24 hours and some more than one day. 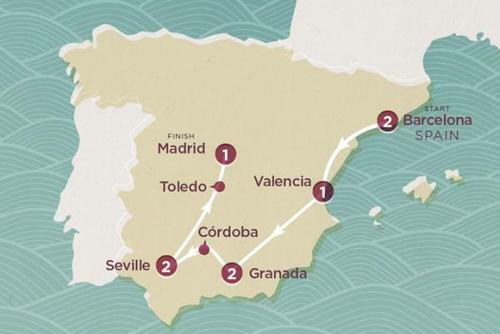 There are also lots of tours from Barcelona available to book which will allow you to see more of the country / region. 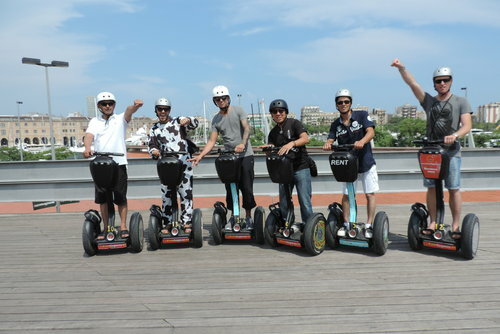 There are various companies and individuals offering private tours of Barcelona. Joining a tours with a personal tour guide is a great way to learn more about Barcelona and also get all your questions answered. Usually you can choose where to start, finish and places to visit inbetween, or you can also be flexible and leave this up to the guide. Some companies have set itineraries or if you have a specific interest then this can be incorportated into a tour too. Some companies and also tour guides offer free tours of Barcelona which usually last around 2-3 hours. Shorter and longer tours are also available. Don't be put off the by the free part of the title, these tours can be really good and they are very popular. The only catch is they are not usually totally free, usually you will be required (or suggested) to give a donation at the end of the tour to support the local guide. If you are not happy with the tour, or you are really on a budget then you can just walk away without paying though. If you are not planning to book ahead on the internet be sure to get to the meeting point early, we recommend around 10-15 minutes in advance so you can find your guide and group. Due to Barcelona's location getting there is easy, regular flights depart from Europe, the earlier the flight is booked the cheaper it will be. For the best deals and cheapest prices we recommend searching flights on Skyscanner. You can also book coaches which can be joined in destinations throughout Europe and generally have the cheap prices, depending on where your travelling from. Journeys can be long and not the most comfortable though so we do recommend flying. Another option is to arrive in Barcelona by train. If you are looking for somewhere cheap to stay, use Hostelbookers or Booking.com to search for budget accommodation and book well in advance to get the best prices. 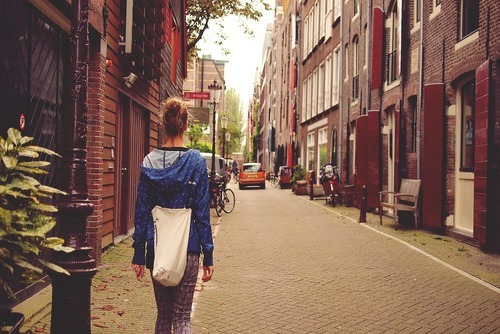 Dorms are the cheapest way to stay in Barcelona, and an easy way to meet other backpackers. 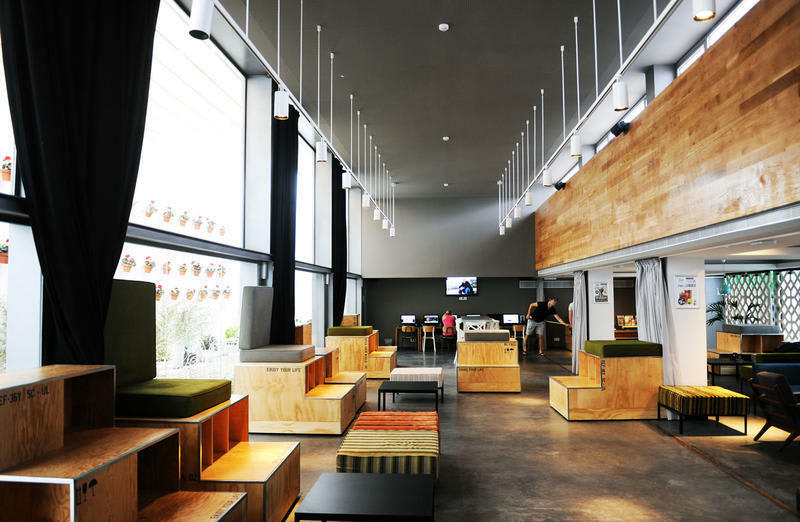 Located all around Barcelona, there is no shortage of hostels in Barcelona. However, the idea of sharing a room with people is not where everyone wants to stay, hostels offer private rooms, and to keep the budget down, there are a selection of B and B's to stopover at. Black Swan, is a safe, friendly and well located hostel. Dorms start from 22 euro a night. HelloBCN is another hostel, with lots of activities to get to know other travellers, this makes it ideal for solo travellers, Dorms are from 13 euros and privates 35 euros. Serenity Gotic Hostel, is a B and B situated near the beach, the price for private rooms start at 13 euros. The main railway station, Sants Estació is a bright, vast, modern concourse and partial shopping centre, which slightly resembles an airport terminal. Platforms 1 to 6 have queues for the high speed AVE link to Madrid (2 hours 40 minutes to 3 hours’ journey time), which requires passengers to pass through a checkpoint before boarding. Note that if you take this train in either direction, the check-in will close two minutes prior to departure, so allow time. The metro is a good way to get around Barcelona. it is not too dense – although one can walk easily between central stations – and it is spread out well. Transports Metropolitans de Barcelona (TMB) operates most of the network, but three lines come under Ferrocarrils de la Generalitat de Catalunya (FGC). A single ticket on one is invalid on the other, but one may transcend with a travelcard which can also be used on most other transport. Some trains have slightly unusual waist-high holding posts. You also have the choice of regular buses and trams, though strangely, the tram network is split in two, with routes 1, 2 and 3 in the west of the city and 4, 5 and 6 in the east. A bicycle hire scheme, in many European cities now, is here, under the name of Bicing. Many cyclists can be seen, but if you aren’t going far, it’s worth walking. 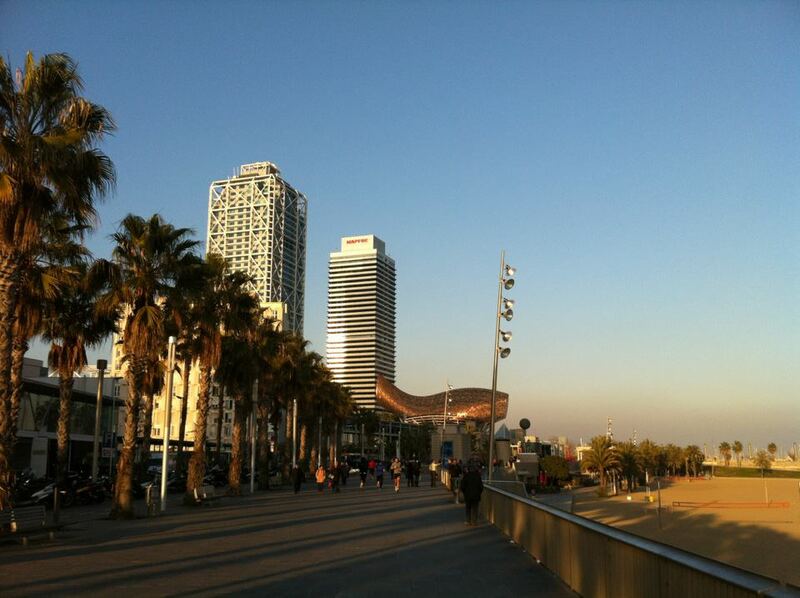 From La Rambla you can walk south to the roundabout junction, turn right onto Passeig de Josep Carner, see the waterfront and be reminded that Barcelona is a coastal city, as it is easy to forget this fact. The beaches here offer a great place to relax, people watch or go swimming. The Port of Barcelona is another two kilometres along, and this is the industrial cargo sector. If you prefer pleasure boats and history, take a left at the La Rambla junction and cross over onto Carrer Bosch i Alsina which runs along the edge of the Darsena Nacional. Hundreds of boats and yachts are secured, and ancient restored vessels, like Nao Victoria, are open to the public. The Basílica de la Sagrada Família is one of the most iconic and significant places in Barcelona. 130 years in the making and supposedly another 13 to go, the huge towers of Gaudi’s masterpiece are awe-inducing upon first glance. Construction continues, with scaffolding and high rise cranes, amid flocking visitors and chapel services. 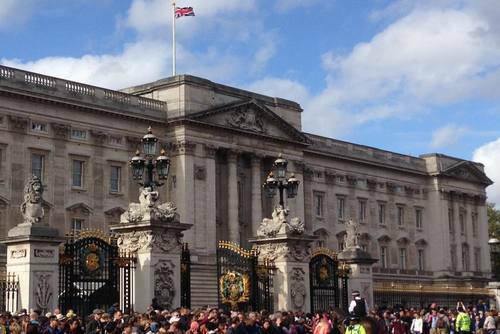 A queue stretches around the block most hours, so arrive early to visit. Admire the cathedral closely or from a distance, perhaps losing yourself in the shadow cast over the adjacent park. The chapel and souvenir shops on the surrounding Plaça de la Sagrada Família have models of what the finished article will look like. On the north side of the Plaça is a stylish, pedestrianised avenue (avinguda) which takes Gaudi’s name. Some shops, bars and restaurants can be found here, and it leads for just under a kilometre to the Modernista complex of the Hospital de Sant Pau, currently undergoing restoration to become a museum and cultural centre. As an aside, the Daily Price store in the Sagrada Família metro station is worth a rummage through if you fancy some perhaps unknown music for bargain prices. One can escape to a relative sanctuary in a part of the old town (Ciutat Vella) roughly bordered by La Rambla and Via Laietana. 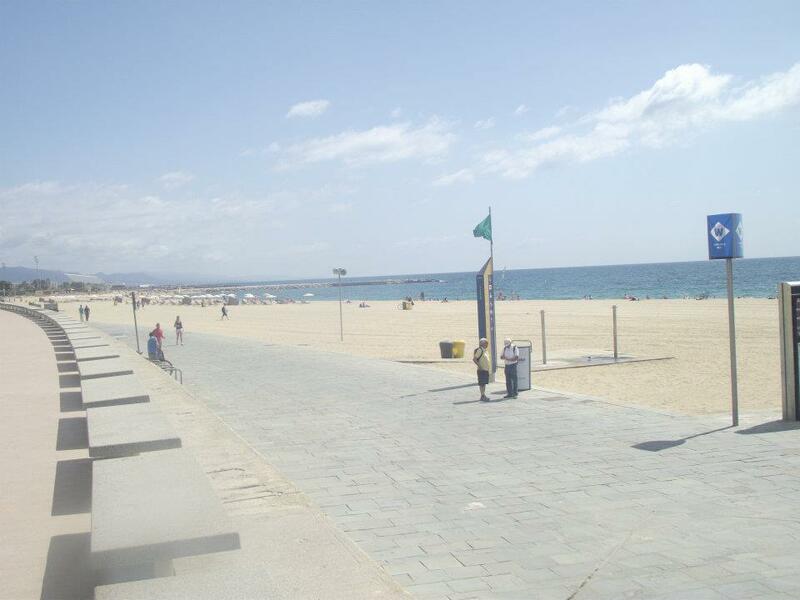 If on the metro wondering what to do, you could go to Liceu and walk to Jaume I. An intriguing maze of narrow paved streets links the two; some traffic does flow along certain avenues but it is largely a pedestrian area and perhaps the quietest area of the city. Avoiding the urge to explore every nook and cranny is hard. You can emerge by Barcelona Cathedral and nip in; the Via Laietana is close by. Football fans will probably consider it a rite of passage to visit Camp Nou, the stadium of FC Barcelona (Metro: Palau Reial/Collblanc). Located near to the sprawling Campus Nord of the Universitat de Barcelona, one could amble through those grounds as well. The royal palace (Palau Reial) is in the adjacent Pedralbes area. Residence for the Spanish royal family when they visited the city between 1919 and 1931, it now houses the Ceramic Museum, Interior Design Museum and is the permanent seat for the Union of the Mediterranean. Montjuïc is a broad, shallow hill with naturally wooded slopes to the southwest of the city centre. Famous for being the focal point of the 1992 Olympic Games, two Venetian towers mark the gateway to it at Plaça d’Espanya. The slopes have parks and gardens, and are often used by amateur cyclists. On and around the hill you will find such sights as the Palau Nacional, the botanical gardens, the museum of ethnology and the Fundació Joan Miró, as well as the Olympic venues. Reach the top of the hill via the funicular railway that runs from Paral٠lel (Metro Lines 2/3), then the gondola lift from the Montjuïc station. Buses serve the hill as well; take the 13, 23 or 150 from Plaça d’Espanya, the 55 from nearby (Avinguda del Paral٠lel /Carrer de Lleida junction), or the 125 from La Marina on the other side of the hill from Espanya, near Zona Franca. Barcelona’s second main railway terminal is the Estació de França (nowhere near the above Zona – don’t confuse it), a somewhat quainter, more traditional station than Sants, dating from the 1920s. One can walk from here to another paved, more erudite part of the Ciutat Vella. Around here you’ll find the Santa Maria del Mar church – an outstanding example of Catalan Gothic architecture – and the Museu Picasso and Fossar de les Moreres. Florentine Cupcakes & Cookies and the scattering of tabernas might be worth a stop. Walking in a northern direction from França can take you near to the Vila Olímpica and through the Parc de la Ciutadella, with a lavish structure across a pond and the Castell dels Tres Dragons. At the Parc’s top end is Barcelona’s own Arc de Triomf. Reddish in colour, it has an eponymous metro station, giving it one edge over Paris’s. Many suburbs adorn the fringes of Barcelona, one of which is Fondo in Badalona, with an absolutely cavernous metro station if you use the deep-level Line 9; Line 1 also serves. It seems to be a somewhat busy area, but has more of a residential foundation, with some of the smallest buses you’ll see in greater Barcelona operating the B15 route (others are on the 114). The 12-seater vehicles pass the station and when you see one you have to jump on for a couple of stops. Browse the Bazar Euro on Avinguda de Caritg and pick up a knick-knack or some ear muffs. There’s a thriving Saturday market on the metro’s doorstep. Cornellà is in the southwest is worth a visit and has two stations; Centre (Metro Line 5, train and tram) and Riera (Metro Line 8 and train). Arrive at one and depart from the other, exploring between the two. Pick up a snack from the Tranvi Pá bakery opposite Centre station, or something more substantial from the Txu-Ku-Txu cafeteria next door. Sit in the Plaça de l’Eglésia a while, browse the central market just off Carrer Menendez Pelayo, and admire the former Familiar Cinema Titan on Carrer Rubio i Ors. Still bearing its cinematic name, the building opened in 1926 to embrace the new technology of film, and became an important societal retreat in the years of the Franco dictatorship. Due to significant population increases and the building of new cinemas in the 1960s, Titan closed, but was purchased by the town of Cornella and nowadays houses a library. Hotel 1898 on La Rambla has a superb 360 degree view of the city. This can be accessed for free but if you want to order drinks at the same time, they are quite expensive. There’s also a spa and pool. Carrer de Joaquin Costa in Raval is a multicultural street with good bars, exotic food shops, galleries with handcrafts, a bookshop with antique papers and another dedicated to anarchism. Rambla de Poble Nou is a street by the sea with architecture reminiscent of a small village. Passeig de Sant Joan. Paths, greenery, fountains and statues are present in the middle of this dual carriageway road. Café del Gallery restaurant, part of the Gallery Hotel, Carrer Rosselló 249. Reasonably priced food and has a cut through to a nice garden behind. Blue Cat Bar, Rambla de Poble Nou. Bar Siete, close to Carrer Escudellers; has a free flamenco jam night each Friday. Depending on budget and time, Barcelona offers a bunch of activities to do, such as a visit to Camp Nou, and art museums. However, there are plenty of experiences to be had in Barcelona without having to worry about money. A number of people do free walking tours of Barcelona which take around 2/3 hours and you will see some of Barcelona's famous sights. Although the tour is free, people are asked to tip, it can be anything people think the tour is worth. Barcelona is full of parks to have a walk or a picnic in, the park not worth is missing is the beautiful Parc Guell. Parc Guell was designed by Gaudi who designed some of Barcelona's most well known buildings. 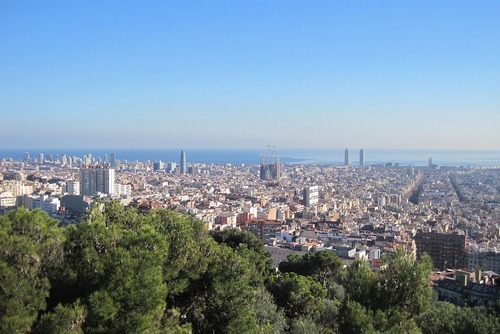 The park has an amazing view which overlooks Barcelona. The first Sunday of every month, some of Barcelona's museums let tourists in for free, so for a change of scene, that's also an option. 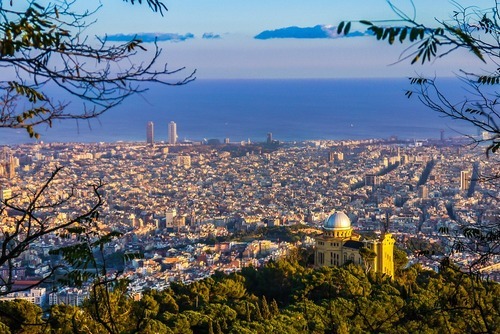 If you are keen to escape the city there are lots of places in the surrounding areas of Barcelona to consider visiting. You might like to check out two places in the comarca Vallès Oriental, the region which neighbours Barcelona’s own – Montmeló and Parets del Vallès. Both towns are close to the Circuit de Catalunya, but Montmeló is the more accessible gateway, so any motor racing fans wanting to visit the track should aim for there. The station is served by up to four trains an hour (Rodalies R2 and R2 Nord), and it’s only half an hour and €2.20 away from Barcelona. It’s best to walk to the circuit from the station, which takes another 30 minutes. There’s a shuttle bus on race days between the circuit and the La Roca Shopping Village east of Granollers, but not to Montmeló or Barcelona. Don’t just go in and out of Montmeló for the track; it is a reasonably quiet little place (though not around the Grands Prix and other events) and is worth a small meander at least. Many bars and restaurants lie on and off Carrer Major, the main shopping street, and there are plenty of options for tapas and refreshment. On the other side of the C-33 and N-152 lies Parets del Vallès. The northern part of the municipality houses the council buildings (ajuntament) and here a pleasant while may be passed visiting the Església de Sant Esteve or sitting in its tree-lined square. There’s a restaurant next door as well. In the south the area borders the Gallecs nature reserve. Earmarked as a space for urban housing in 1968, the plan never came to fruition, and in 1981 an agreement was signed granting its current status, preservation and protection from building development, which has nevertheless continued to be a threat up to now. 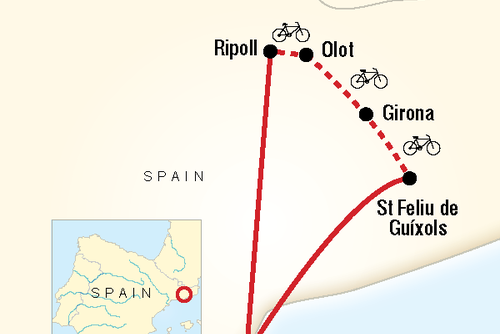 There is more to see in the region, but you can go to Barcelona by train, passing some hills of Catalonia. If you would like to visit this incredible city and keep your costs down here are some tips on what to see and do when you're in Barcelona, without breaking the bank! Check out budget tips below. Seekers of shopping and similar commercial activities can find plenty to amuse themselves. Plaça Catalunya is a good starting point, surrounded by commerce on all four sides including the massive El Corte Inglés department store; the chain is the largest in Europe and fourth largest in the world. From there, head northwest along the vast Passeig de Gràcia, high end stores and hotels abounding left and right, until you arrive at the intersection with Avinguda Diagonal, the road that bisects the city. La Rambla (Metro: Drassanes) buzzes with street entertainers and activity day and night. You’ll never be short of places to eat in and around Barcelona, and you’ll find reasonable prices as long as you don’t go for somewhere that’s obviously expensive. Depending on where you stay, a lot of hostels and some B and B's offer kitchens as part of their facilities. This is good news, as to save money, backpackers stay in and cook and it's a great way to meet people. If budget-conscious, there are lots of modest establishments like the Cat Bar (Carrer Boria 17; Metro: Jaume I. A dedicated vegan eatery, intimate and cosy. 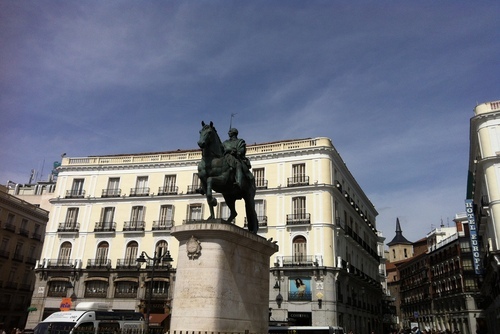 It also boasts a fine mosaic of the Columbus Monument on La Rambla to observe while dining. The menu is in English as well as Catalan, and the staff speak it. Live music is on most Tuesday evenings. Another reason to remember Barcelona’s coastal location is that it is awash with a fine pick of seafood restaurants. La Paradeta is recommended (Passatge Simó 18; Metro: Sagrada Família; laparadeta.com). A small chain, there are two more outlets at Jaume I and Plaça de Sants. It’s self-serving and informal, where you can eye up the wide range of raw sea specimens on entry, the lobster sometimes still twitching. Select what you want to eat and it’s freshly prepared right there and then. A restaurant called Pollo Rico found in the El Rival neighbourhood, has a selection of various meats and salads. Expect to pay less than 5 euros a plate. 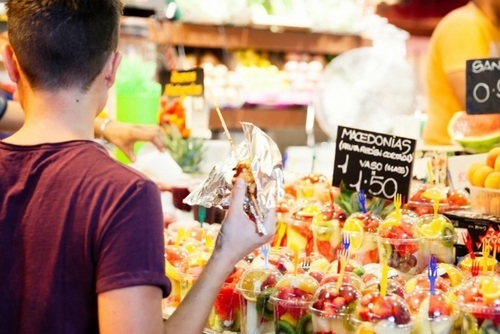 The famous Boqueira market, besides the even more well known Las Ramblas, provides plenty of fresh cuisine and at a very cheap rate. Bacoa is the first in a gourmet hamburger chain. For good quality burgers, this is a good shout, 8 euros is the price for a burger, with rave reviews and locally grown produce used, Bacoa is a travellers favourite. Hostels offer bar crawls around Barcelona and some even have their own bars inside the hostel, to meet other travellers it's an enjoyable way to begin the night, with these options to go explore the bars in Barcelona. One of Barcelona's best bars and popular with backpackers is called Betty Ford. Although a restaurant, its a well-known drinking spot, with a broad range of cocktails to choose from as well as lagers. Drinks start from 3 euros. Belchica is a bar for beer lovers. It holds over 50 Belgium beers, bottled and on tap. Although it's not a traditional traveller bar, the beer is cheap, so suitable for budgets. Barcelona really is an amazing city, now go explore it for yourself. If you need any help arranging a trip contact us today.